With over 170 locally-managed offices nationwide, Belvoir can provide you with the best service and advice to suit your needs and requirements. 8 links pointing to Belvoir.co.uk were found. 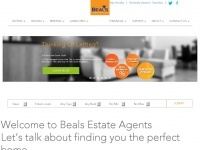 Individual words like Lettings, Belvoir and Website are frequently used in text links from other websites. 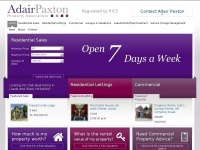 The most important links to the website are from Altonhampshire.co.uk and Acsolutions.co.uk. 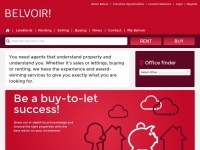 The homepage of Belvoir.co.uk and the subsite /property-for-sale/belvoir-aldershot/map are most referenced by other websites. The table shows the most important links to Belvoir.co.uk. The table is sorted in descending order by importance. 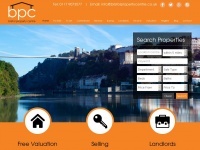 The table shows websites of Belvoir.co.uk, which are often linked by other websites and therefore they are classified as important content. 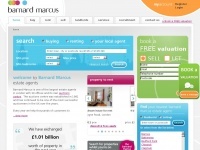 Barnardmarcus.co.uk - Esta­te Agents & Let­ting Agents | Hou­ses For Sale - ..
Adairpaxton.co.uk - Adair Pax­ton esta­te a­gents for pro­perty sa­les, lets ..
Ashleycharles.co.uk - Ashley Char­les Esta­te Agents - Pro­perty for sale and ..